Thanks to Gourmet Gift Baskets for providing me with a free gift basket to review. Gourmet Gift Baskets are so nice! I received The Hitting the Range™ -Golf gift basket and it was packed to the top with goodies. The "Hitting the Range" Gift Basket was so attractive and it came with delicious treats. My grandpa and I are the golfers in the family, so we truly appreciated this for what it really is. All the snacks inside are perfect for a day on the course. And inside it comes with 4 Golf tee's, a fun-facts-for-golfers book, a wide variety of gourmet snacks, including delicious trail mix, Divine Bovine gourmet beef jerky, Brent & Sam’s cookies, peanut butter pretzel nuggets, Partners deli style crackers, and hot pepper cheese. 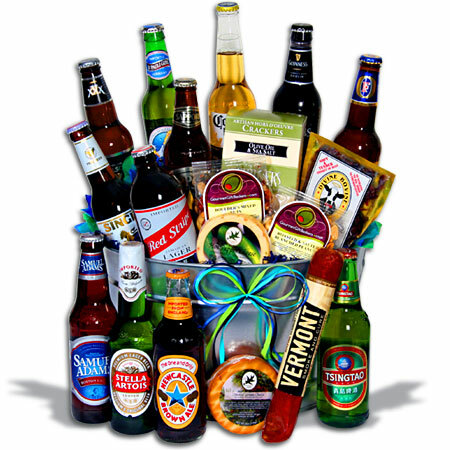 When I got the gift pack I realized that this would be perfect as a Father's Day Gift Basket. Unfortunatly I have never met my father, and have never truly experienced a Father's Day. But, I've come close! My grandpa has been here for me forever, and he likes golf. So Perfect. I waited for him to be very unsuspecting. (He was watching golf on TV) As soon as a commercial came on I jumped out there with my Gift Basket. I told him Happy Early Father's Day and you should have seen the smile on his face. I haven't seen him that happy in quite some time. His initial thought was wow, she got me something for Father's Day! Then of course.. He had to know what was in the basket. He pulled the ribbon off and tore open the plastic, and he was all over it. I am sorry to say that the contents of the Gift Basket did not make it to the golf course. The farthest they went from the Living room, was actually to the kitchen. He was happy enough to share, and I can honestly say all the goodies inside were delicious. My favorite was the Artisan Hors D'oeuvre Crackers, they were so good! If I had to pick a least favorite it would be the Hot Pepper cheese, and thats only because I don't like spicy things too much. My grandpa on the other hand loved the cheese and it was the first thing to disappear. If you love golf, and you love snacks then this is the Perfect gift basket for you! 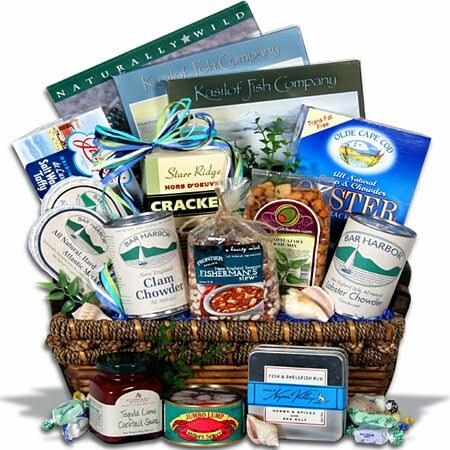 If you don't love golf then don't worry, I'm positive that Gourmet Gift Baskets have something for you! The Chocolate Gift Basket , Jumbo - Sweet Decadence. But, since Father's Day is right around the corner (Sunday, June 20th) I think I should do a little highlight of these beautiful gift baskets that could make any father happy. Thats just to name a few, there are literally, hundreds of different gift baskets. Most dads are very hard to shop for, so why not make it easy? Just get him a gift basket filled with things he loves :). I wanted to give a big Thank You to GourmetGiftBaskets.com for providing me with a wonderful gift basket, that really made a wonderul man happy. Please make sure I have a way to contact you if you are chosen as the winner! The winner will have 48 hours to reply to my email, or a new winner will be drawn. The giveaway Ends June 9th, 2010 at 11:59 pm. New follower from Follow Me Fridays! Wishing you and your family a great weekend. I would love to win this for my husband as he's a golfer, but doesn't get to do much with his work schedule. I'm your latest follower through BHF. I hope you'll stop by my blog soon and say hello and follow back! I'm now following Gourmet Gift Baskets on Facebook and posted on their wall. All of their baskets look devine! I'm now following your daily feed. This is my first posting about it. I'm now following your daily feed. This is my second posting about it. Following from Friday Follow me. I am a new follower from FF. I will definitely check out some of these giveaways. COme by and check me out sometime and become a follower. I like Gourmet Gift Baskets on Facebook (Eloise Carlson) and posted my favorite on their wall. I am also a new follower from Blog Hop Friday, so glad to have found your blog, you have some really great giveaways! Have a great holiday weekend! I liked Gourmet Gift Basket on facebook and told them I liked the Grill Master best. I like them on Facebook and posted on their wall! 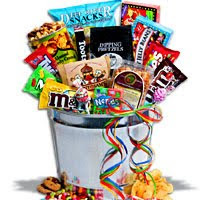 I "Liked" GourmetGiftBaskets on Facebook and then posted on there wall your favorite product from there site. I entered the Giveaway- $100 American Express Giftcard! I liked Gourmet Gift Baskets on FB (Nicole Balogh) and posted my fave on their wall. I'm following Gourmet Gift Baskets on Twitter @maybaby522. I entered your American Express giveaway. 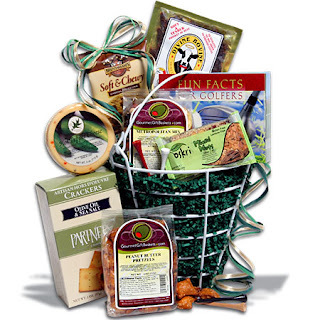 I am a Facebook fan of Gourmet Giftbaskets and posted my fave gift basket on their wall. Follow Gourmet Giftbaskets on twitter. Entered the K-mart giftcard giveaway. Entered the Smart Mom Jewelry giveaway. Entered the Aminal Doll giveaway. Entered the $100 American Express GC giveaway. I liked Gormet Baskets on Facebook. I would want the Super Salad gift basket. Looks fantastic. Barbara Montag & I posted my favorite product on their wall. I liked gourmet gift baskets on facebook and like the organic gift basket. 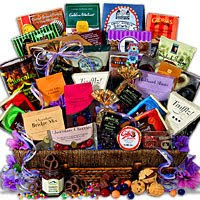 I "Like" GourmetGiftBaskets on Facebook and then posted on there wall my favorite product from there site which is the Red Wine and Dark Chocolate gift basket.